Planter for inside or outside. 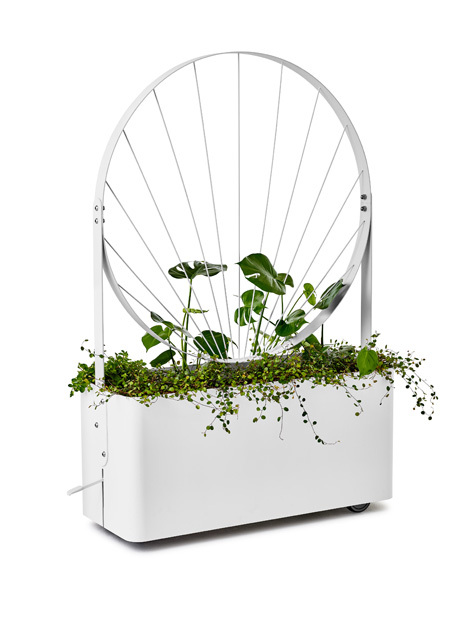 The planter is fitted with frameworks designed in three interchangeable patterns: Romb, the leaf-patterned Blad and Triangel. When several planters are placed in a row, their decorative geometrical designs can create an attractive screen or provide a stylish means of dividing space. Rollers integrated into the base make Gro easy to move.